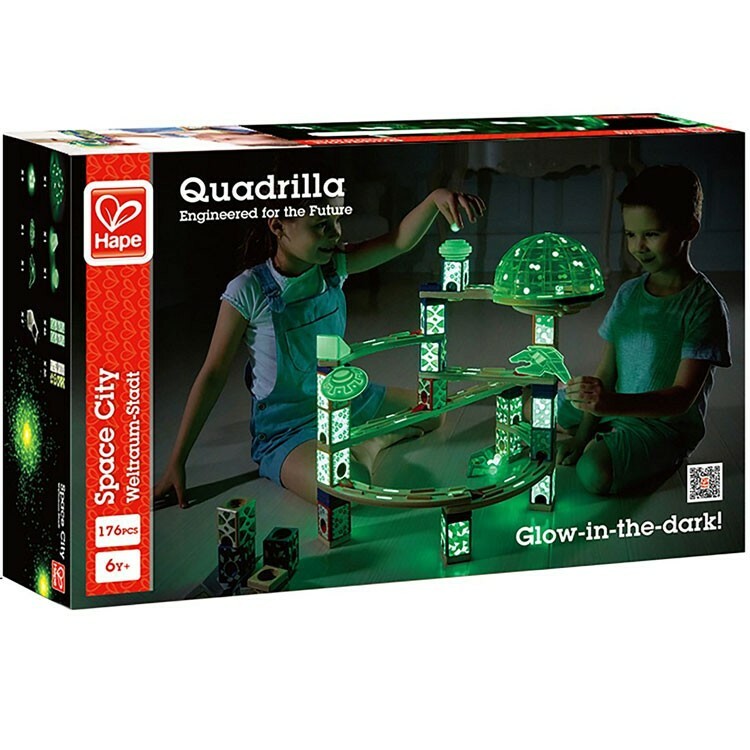 Quadrilla Space City glow-in-the-dark construction toy includes 176 pc to build super speedy cosmic glow-in-the-dark marble run! 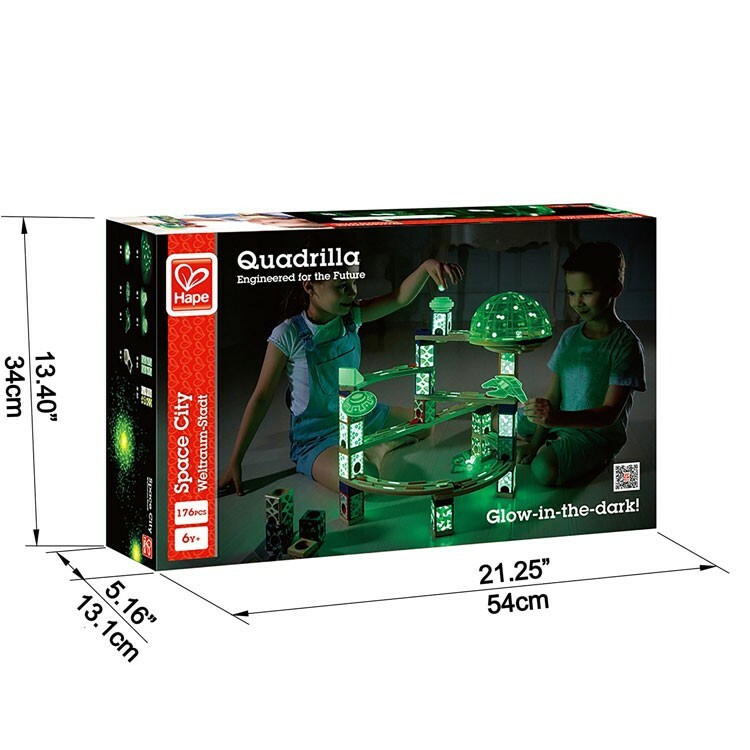 Now the bestselling Quadrilla marble run can cast a magical glow on your building! 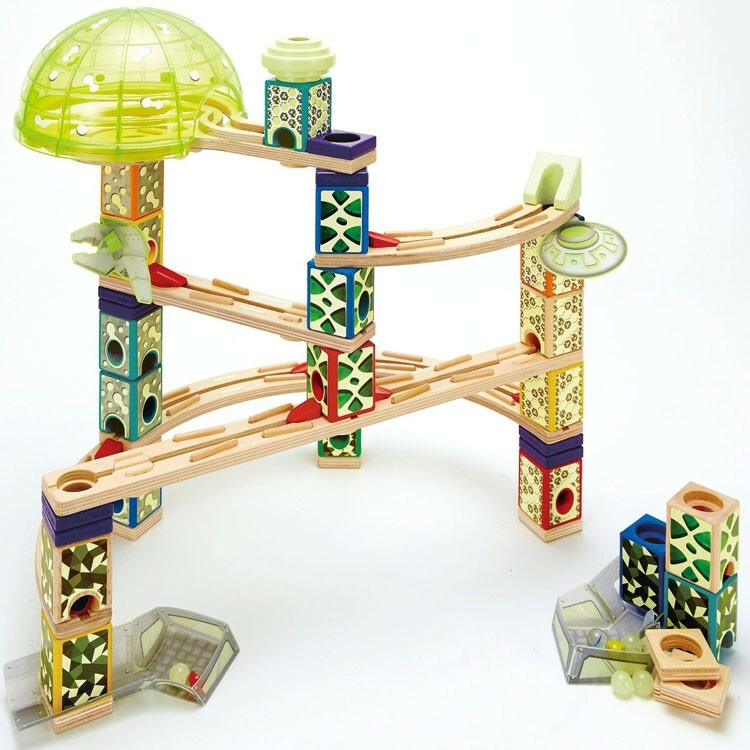 Space City Quadrilla 176 pc Wooden Marble Run is a new addition to Hape's super popular wooden marble runs. 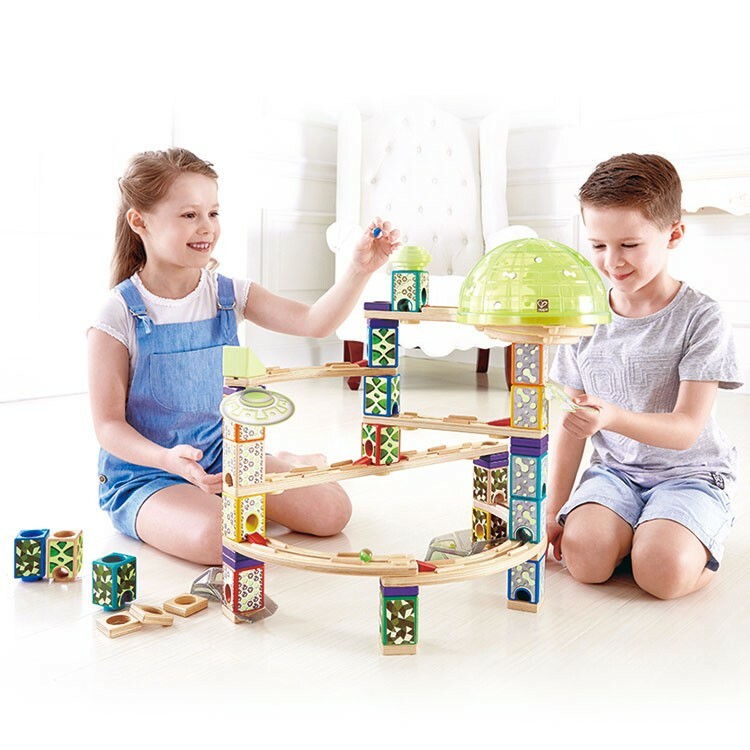 Quadrilla construction system features open-ended building fun, high quality wooden structure, unique parts that can be assembled in many ways. 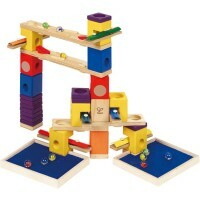 Quadrilla building toys are made of heirloom quality birch and rubber wood to last for years of constructive play. 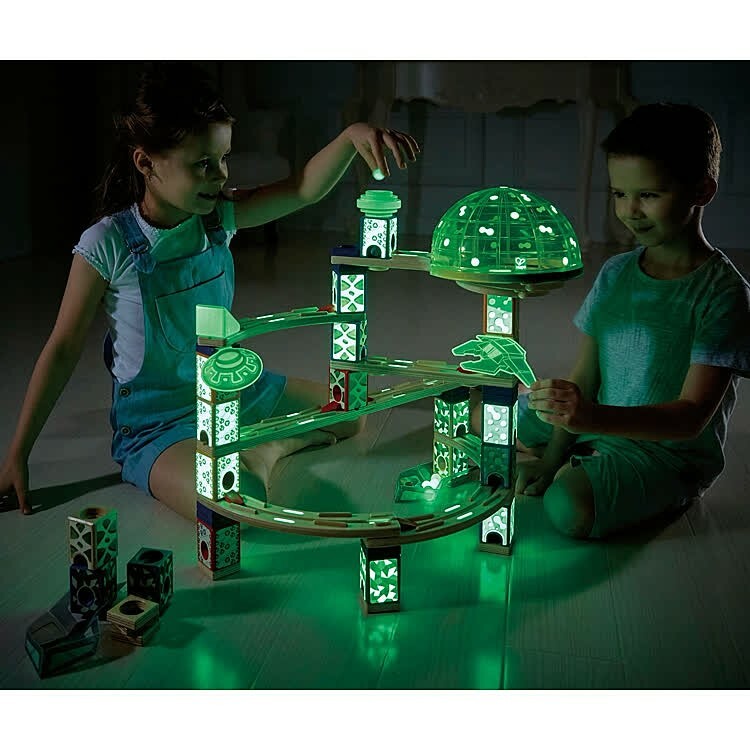 Now the glow-in-the-dark removable stickers extend the fun of the unlimited construction. 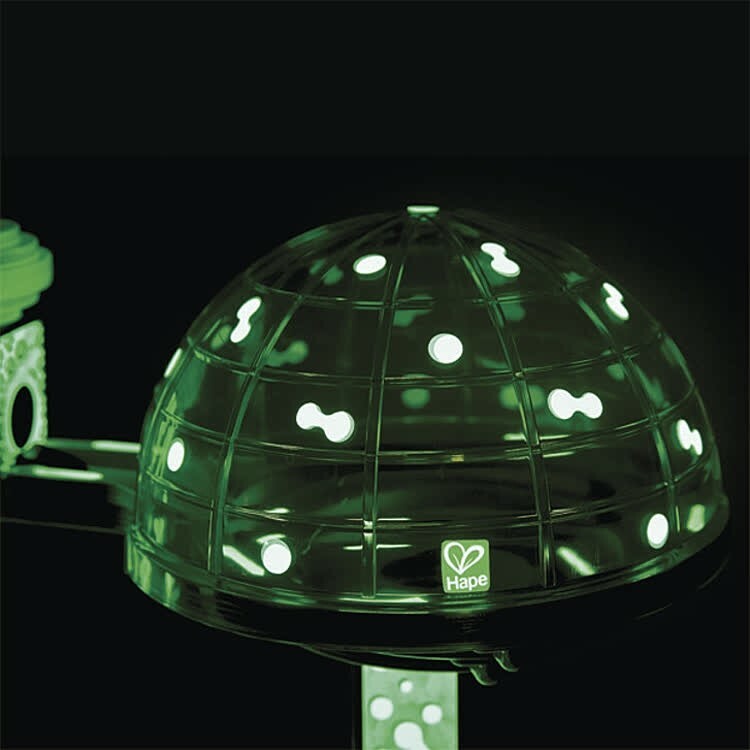 This new building kit from Educational Toys Planet features 176 parts including cosmic dome, glowing loops, curved rails, bases, marble pool, space vehicles, stickers, and glow-in-the-dark marbles. 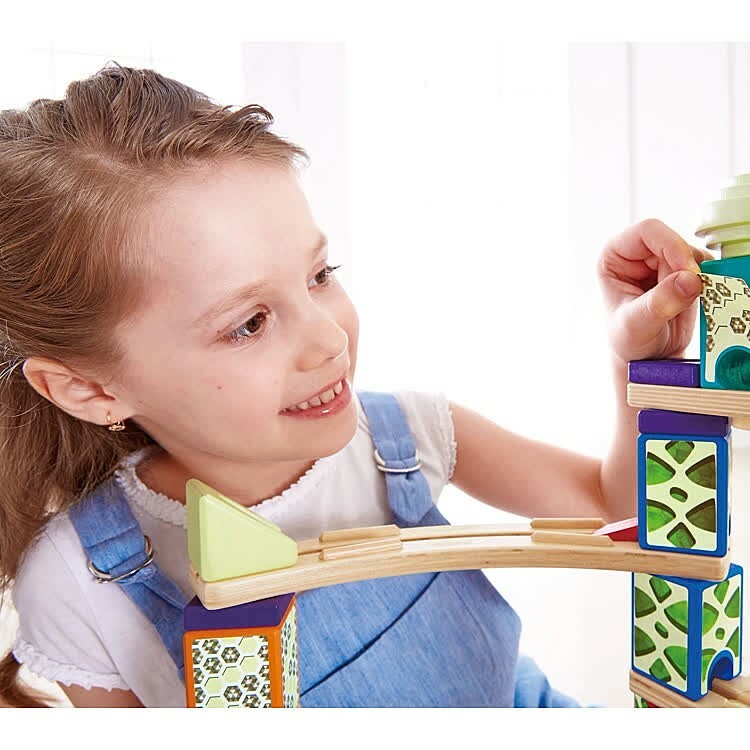 The young builders can follow the building ideas from the model booklet, or implement their own engineering vision. 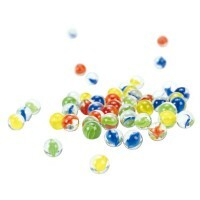 It's fun to build and definitely fun to watch the marbles go down the rails. 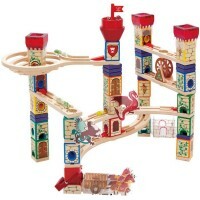 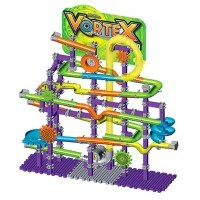 Space City Quadrilla 176 pc Wooden Marble Run promotes 3D reasoning, creativity and engineering abilities. 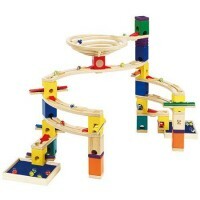 As all Hape's toys, this super marble run construction toy complies with all US toy safety regulations. 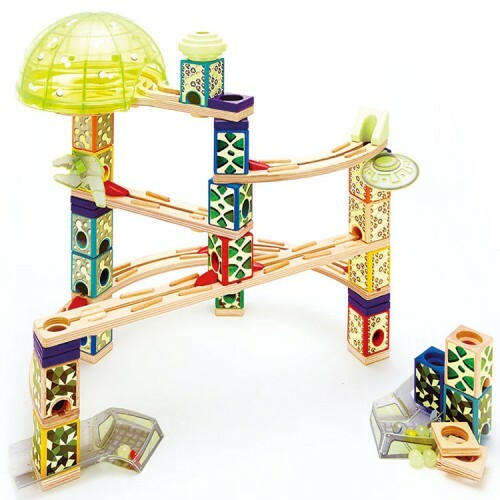 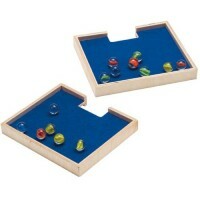 Dimensions of package 5.16" x 21.25" x 13.4"
Write your own review of Space City Quadrilla 176 pc Wooden Marble Run.